Additional Info: Emily's Ensemble featuring, violinist, cello, viola, guitar, flute, harp and piano. The leader Emily provides you the perfect venue for your wedding and your events. 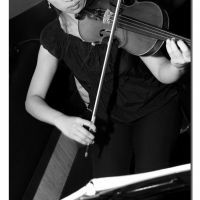 She plays with different varieties of music to customize your needs, from classical to jazz and and from pop to celtic. Emily's live music plays across Toronto and the Greater Toronto area for private events, funerals, weddings, birthday parties and any kinds of events. Just pick up your favorite music and we can play for you!